Hey Montrealers! We are reprising both our ever popular silkscreening workshop and our new graphic novel course this March. As always, we encourage you to come reserve your spot with a deposit, as space is limited and these classes fill up fast! 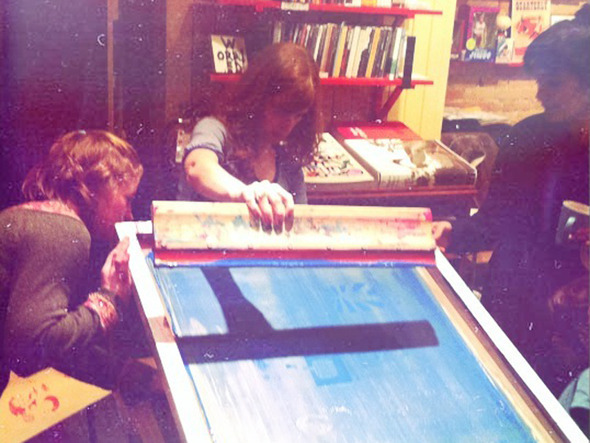 This 3-day course with instructor Leyla Majeri will go over the basics of silk screening from start to finish. Participants (ages 15 and up) will go home with a completed project. The workshop costs $100 for the whole session - this fee covers all supplies needed. Workshop participants obtain a 20% discount on all books at the store for the duration of the workshop. The deposit to reserve your spot is $65. March 27th, April 3rd, 10th and 17th from 6:30-8:30pm. Tom Devlin, the Creative Director for Drawn & Quarterly, former publisher of Highwater Books, and guest editor of The Comics Journal, will be teaching an intensive 4-week graphic novel course at the Librairie Drawn & Quarterly. 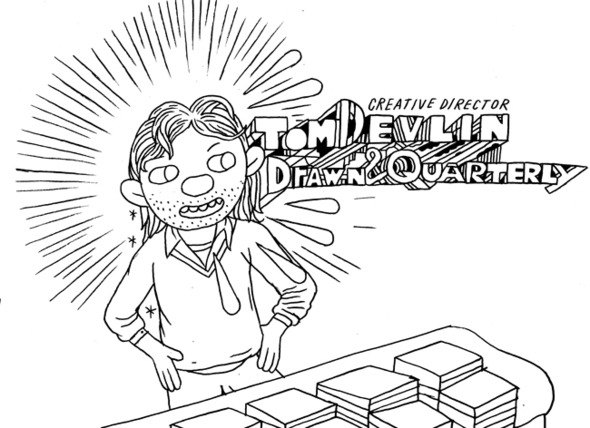 The course will provide an overview of graphic novel history, an explanation of the tools of the trade, techniques in storytelling and cartooning, and, finally, the proper way to approach to approach a comics publisher with your graphic novel. The workshop costs $200 for the whole session - this fee covers all supplies needed. Workshop participants obtain a 20% discount on all books at the store for the duration of the workshop. We encourage you to come reserve your spot at the store with a deposit of $130 as soon as you can, the number of participants is limited!